Pros and Cons of Financial Advisor Coaching - Should Financial Advisors Hire a Coach? 15 Financial Advisor Prospecting Ideas & Techniques That Work! Life Insurance Leads - Should You Buy Them? 27 Financial Advisor Marketing Ideas & Strategies That Work! ​This post may contain affiliate links. I’m writing this review of Woodpecker’s cold email tool for two big reasons. Reason 2: Cold email is a large part of my own business, and Woodpecker makes it freaking awesome. First, let me explain how I use cold email for my own products and services. I’m literally going to spell everything out for you. I sell a $997 product called Financial Advisor Marketing Mastery. It’s an online course that is sold specifically to… you guessed it… financial advisors. So, wouldn’t it be great if I found a way to contact hundreds of financial advisors every single day? I could hire a full-time salesperson. Or I could hire a freelance telemarketer. Been there, done that. Let’s say I pay someone $20 per hour to make cold calls to financial advisors. It would take them all day long to call 100 people. Out of those people, maybe five or six would answer and show interest in the course. I could send out direct mail. Been there, done that too. In fact, I still send out direct mail on a regular basis. But boy, does it get expensive. It costs me about 90 cents to send a piece of mail (and that’s like absolute minimum) to a financial advisor and my cold lists convert at about 1%. The problem is that I could do better. So let’s explore one more option… online advertising. I don’t know about your industry, but online advertising targeting financial services professionals is REALLY expensive. I’m talking maybe $5 per click… at least. If I convert at 1% then it means I am paying $500 to acquire a customer. If I optimize my ads, maybe I could get that cost down to $250. But the thing that is getting me the BIGGEST return on my investment, by far, is cold email. Yes! 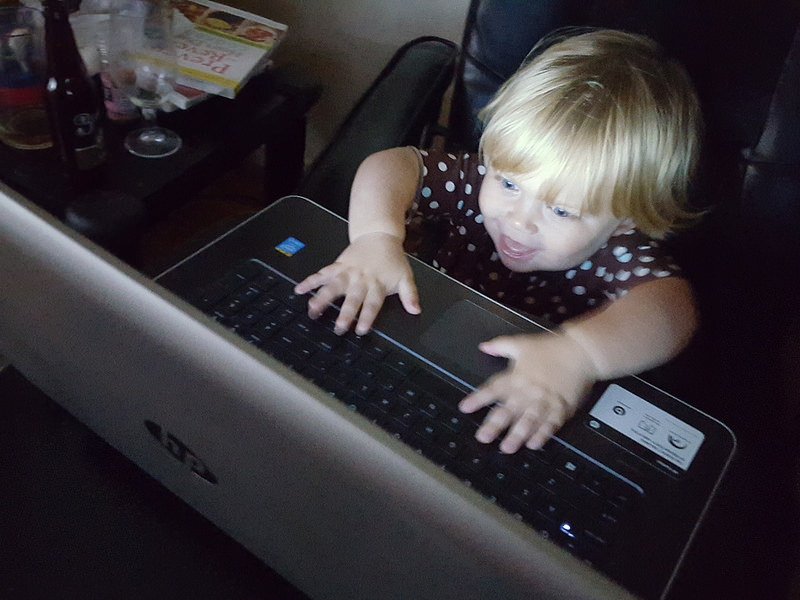 Someone just opened my cold email! My favorite cold email service is Woodpecker and it costs as little as $33 per month to run cold email campaigns, which is a crazy low price. I’ll talk about the specifics behind Woodpecker in a little bit, but first let me explain the numbers behind cold email. I can send 500 cold emails per day, including follow-up to people who didn’t open the previous emails. Let’s do some math… that means I can send FIFTEEN THOUSAND emails per month. Let’s say that only 33% of those emails get opened (which can be improved, by the way) and that means five thousand prospects are reading my marketing message each month. Let’s say that my cold email campaign has the worst conversion rate of all my marketing campaigns… worse than direct mail, worse than cold calling, and worse than online advertising. Even if I only convert a mediocre .5% of people to buyers, that’s still 25 sales per month, or $25,000 in revenue from a $40 investment. Now, if you’re a savvy email marketer, you know I have to either buy or create a list and you know I have to scrub that list. Those are both costs I have to pay, but it’s still BY FAR the biggest return on investment out of the marketing campaigns I’ve mentioned. "So, What Exactly Is Cold Email?" Cold email means you have no previous interaction with the person. You can think of it like a cold call, except much less intrusive. After all, a prospect can review your email and get back to you at his or her convenience. Plus, one of my favorite things about cold email is that it’s a huge time-saver. Other than the few haters who respond with some nasty comments, the only replies you’re going to get are from genuinely interested prospects. This means you will spend the majority of your sales time with people who are willing and able to make a buying decision. Cold email is not spam. While I’m not an attorney and you shouldn’t take legal advice from me, the last time I checked it was 100% okay to send email to people and companies you don’t know as long as you follow certain rules. These rules include not misrepresenting who you are, including your business address, giving an opt-out option, and a few others. I’ll be the first to admit that before I started my cold email campaign, I didn’t really know all the ins and outs of how to do it. But when I started doing my research, I came across this company called Woodpecker and started reading their blog. It was incredibly helpful in teaching me all the right things to do. It was only natural that I started using their service as well. 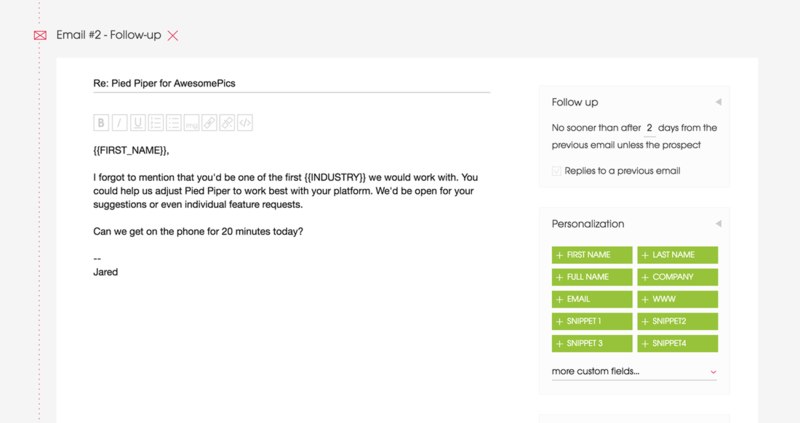 Sample cold email getting created in Woodpecker. STEP ONE: I created a spreadsheet of my prospect’s first name and their email address. Woodpecker allows several different ways to personalize your emails, including company name, first name, and whatever custom field you choose. So my emails would automatically personalize themselves by inserting the prospect’s first name. STEP TWO: I created my email campaign. Woodpecker allows you to create up to seven follow-ups in a campaign, sent out at time intervals you set in advance. For example, your second email could be set to send three days after the first one if your prospect doesn’t respond. The name of the game with a cold email campaign is to get a response. The worst thing that can happen to you is to get ignored by a prospect who is a perfect fit for your product or service. So hearing a “no thanks, I’m not interested” is completely okay because it allows you to delete that prospect from your pipeline and move on to the next one. Because your email provider will only let you send so many emails per day (for example, a Gmail account is limited to 500) it’s critical that you cut the dead weight from your list as quickly as possible. Again, the goal is to cut the dead weight from your list as quickly as possible. You’re prospecting - in order to find the gold, you need to filter through all the dirt. STEP THREE: I published the campaign and it started sending. You can set your Woodpecker account to send only at certain times of day, which is super helpful because you want to contact your prospects when they’re in front of a computer. I scheduled all my emails to send from 7 in the morning and 3 in the afternoon. Plus, Woodpecker spaces out your emails. So if you have 100 emails to send, Woodpecker won’t send them out all at once. Instead, it will space them out and send one every few minutes. Without getting into techy geek detail, this is important because it keeps your email provider from freaking out. After that, I just walked away and let Woodpecker go to work. I would check my inbox periodically to respond to any interested prospects. Woodpecker also automatically detects responses (to avoid following up again) and blacklists any prospects who report you as spam, so you don’t ever email them again. It makes the process INCREDIBLY easy. Woodpecker lets you schedule your delivery times in advance. Woodpecker allows you to follow up automatically within the same thread. I never realized how important this actually was until I started using Woodpecker for my cold email. It makes perfect sense because it makes sure your prospects have a full context - if they didn’t open your first email, then can simply read the thread and see what you’re talking about. As I mentioned before, Woodpecker also allows you to set the days and hours of delivery within a chosen time zone for the emails in your campaign. Woodpecker lets you integrate your Gmail, Outlook or any IMAP in seconds. You can also use as many addresses as you need and set aliases - this is perfect for a large team that is trying to reach out to a prospect multiple times. After you set everything up, your messages get sent automatically one-by-one. Due to Woodpecker’s email throttling algorithm, emails get sent with irregular frequency, which helps keep your domain away from anti-spam filters. The personalization also helps a lot too - like I previously mentioned, you can use custom fields and snippets to merge information from your contact base into your templates. This makes emails feel unique and personal. Oh, and you can just import all this information from your CRM too. This was one of the things I was worried out. Up until I found their blog, I had never heard of Woodpecker. But what I discovered was that Woodpecker puts a big emphasis on security, which put my mind at ease. One of the first things they do to keep your email secure is to eliminate duplicates. Whether you’re importing contacts from a CSV, adding them manually, or syncing them from another software, Woodpecker automatically detects duplicates and removes them from your cold email prospect list. They also make sure that you avoid sending to non-existing addresses. If there’s a chance of a hard bounce, your email won’t be sent to that doubtful address. This alone is worth the price, because it protects you from getting blacklisted due to having too many hard bounces. They also protect you from sending the same message twice to the same person, which can prevent a lot of embarrassing mistakes. 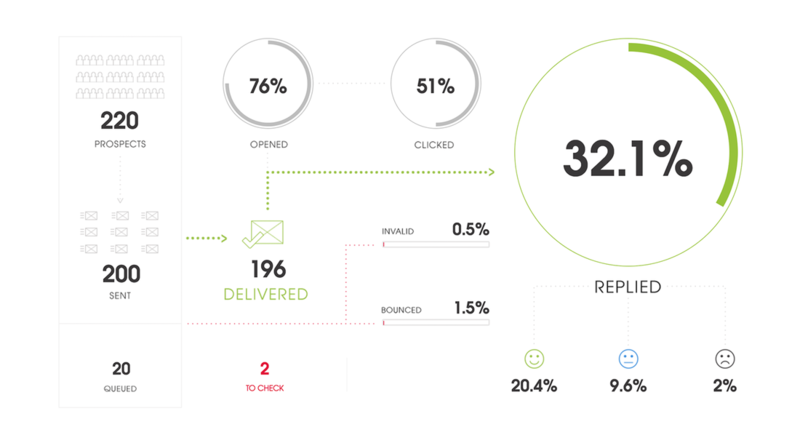 Track open rates - this lets you know how many people open your messages and lets you see when your emails get opened most often. See how many replies were positive - this is pretty cool because it lets you mark the replies as interested, maybe later or not interested. That way you can step back and measure the sheer effectiveness of any one cold email campaign. Knowing these stats is critical to running and growing a successful email campaign because you can test various lists, messages, subject lines, etc. to see what gets the best results. For example, I’ve split-tested “I want to help you get more clients” versus “Found you on LinkedIn” and saw that “Found you on LinkedIn” got more than double the opens and replies. If I didn’t have Woodpecker’s awesome reporting tools, I never would’ve known this. An example of Woodpecker's cold email stats. How Much Does Woodpecker Cost? Knowing what I know now, I would be willing to spend HUNDREDS of dollars per month on a service like Woodpecker. Yet, Woodpecker costs an extremely reasonable $40 per month, per email. Or if you pay annually, it’s only $33 per month. This is incredibly cheap if you understand the raw power behind not just sending a cold email campaign, but leveraging the stats they give you to improve it over time. I only use one email on my account, but if you want to add more email addresses to the account you will be charged accordingly. For example, if you want to integrate two email boxes to one account and send from two email addresses, you will get charged $80 per month. So if you know that you don’t need anything fancy, just go with the $40 per month (or $33 per month if you pay annually) plan. However, Woodpecker does offer a free 14-day trial so you can use all of their features to see if you like it and want to continue using it. After your free trial ends, all of your campaigns are paused (not deleted, whew!) until you choose your pricing plan and you can still access all of your campaigns and stats. The best part is that they don’t even ask for your credit card information, which makes it much easier to sign up for that free trial. There’s no long-term commitments and no contracts, which is nice. You just pay as you go and you can cancel at anytime. You can also upgrade or downgrade your account anytime. Again, Woodpecker offers a free 14-day trial (and they don’t even ask for your credit card information), so you have nothing to lose by giving them a try. Sign up for a free trial today.